Clara Schumann's 193rd birthday has been marked by a Google doodle in her honour. 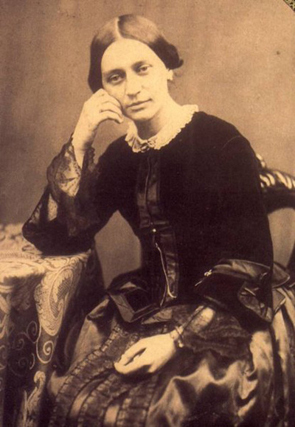 A German musician and composer, Clara Schumann was revered as a woman of historical significance. Though she found her love in playing the piano, her life was nothing short of tragic. At the age of four, Clara's parents separated and she was raised and groomed her father Friedrich Wieck. One of Wieck's pupils Robert Schumann, was inspired by Wieck's work and came to live with him. He met Clara when she was only a little girl. Clara's first public appearance was in 1828 when she was just 9 years old and her first complete piano recital in 1830 at age 11. She went for her first extended tour in 1831. Clara continued to perform extensively and studied piano, voice, violin, instrumentation, score reading, counterpoint, composition, even wrote and published several pieces for solo piano. Robert wanted to marry Clara and asked Wieck's permission in 1837. But her father objected strongly and tried to stop her wedding before Clara's 21st birthday. Robert and Clara filed a lawsuit, and won, but out of spite went ahead and married the day before her birthday, September 12, 1840. Though in the initial years, Schumann adored Clara and her talent for music, things soon fell apart. Schumann's dissolute lifestyle in his youth had landed him with syphilis. He soon became mentally unstable, which was evident when he tried to drown himself in the Rhine. This was five months after Johannes Brahms, another musician and composer of that era and a dear friend, lodged into their home. Schumann was sent to a mental asylum at Endenich, where he is said to have suffered from manic depression and psychosis. Feeling effectively imprisoned at the asylum, Schumann lost the will to live and his death was the result of self-starvation. Clara had eight children to support and she continued to perform despite her personal miseries. Graham Johnson, an accompanist to Clara, has written a musical play titled "Mother Clara". It centres on Clara's strained relationship with her daughter, Eugenie, who moved to London to live with her lesbian lover. Clara's other child Julie, with whom Brahms fell in love, died of tuberculosis in her twenties. Felix, the youngest, also a victim of tuberculosis succumbed to the disease in his teens. Ferdinand, was a morphine addict and the drug eventually killed him. Marie, the eldest, lived a repressed life as her mother's assistant. Emil died at 16 months. Another son, Ludwig was locked away in another asylum for about 30 years and Clara hardly paid any visits. During her life, Clara travelled on 38 concert tours outside Germany. Her compositions date from 1853 or before, including 29 songs, 3 part songs, 4 pieces for piano and orchestra, 20 pieces for solo piano, and cadenzas for 3 piano concertos by Beethoven and Mozart. Clara's life was also portrayed on the big screen in the form of "Geliebte Clara" that translates into "Beloved Clara". The 2008 movie, that offers a closer look into the lives of Clara and Robert Schumann, was released in Germany, France and Hungary. Clara died of a heart attack aged 76. Having brought up seven children and several grandchildren, she left behind her legacy as a great pianist, muse and teacher.